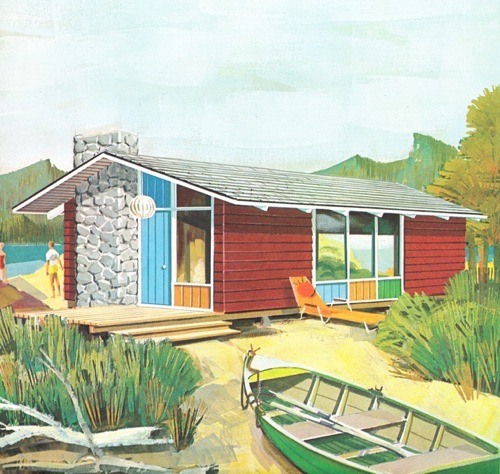 Victor Underhill shares with the Mid-Century Illustrated group this vacation house plan booklet from the ’60s. The fantastic illustrator isn’t credited other than “Orbeck” on the cover. Man, I audibly gasped when I saw these. What gorgeous illustrations! I’m no luddite, but seeing these emphasizes how much we graphic designers and illustrators lose by working in an all-digital medium. Look at the flora in these illustrations – just look at those lucious, broad brushstrokes. 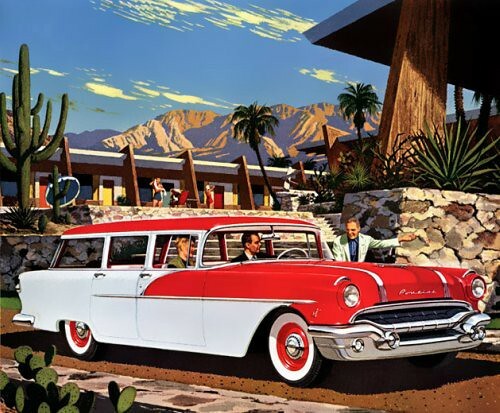 Then look at the man-made elements – rigid, hard, man-made! So awesome. Thanks for posting, this is a great find. that first place exist already. it is wienerschnitzel! 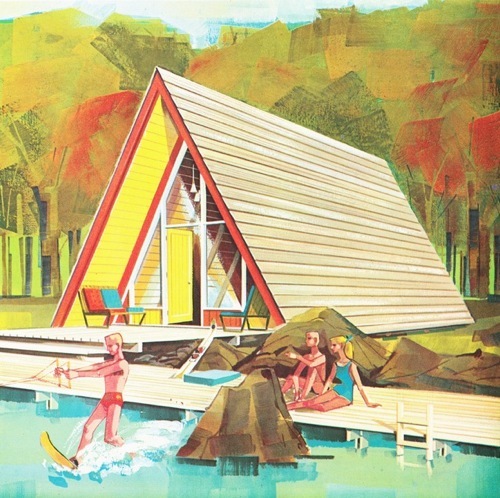 The book “A-frame” also definitely has great illustration in it. 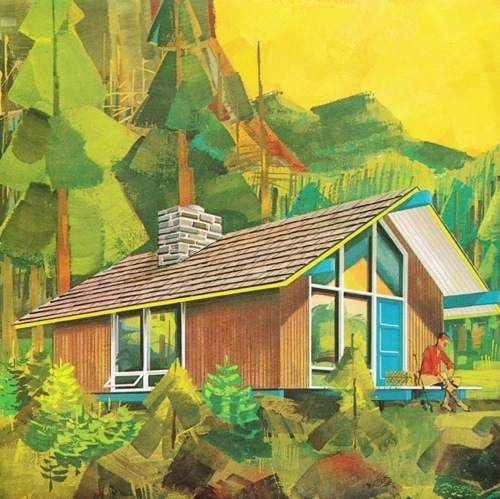 These illustrations make want to illustrate as well. 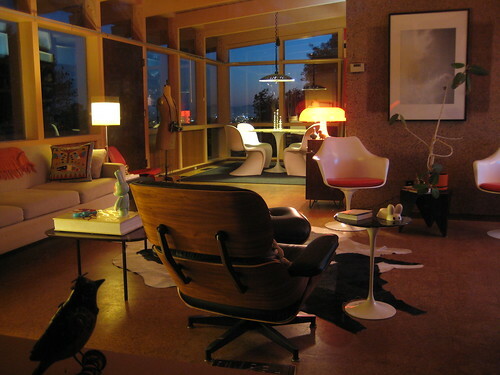 Mine aren’t quite this mid-century looking though.